Skype now supports multiple input methods. When you run the program asks, how you prefer to log in. All of these methods we consider in this article. 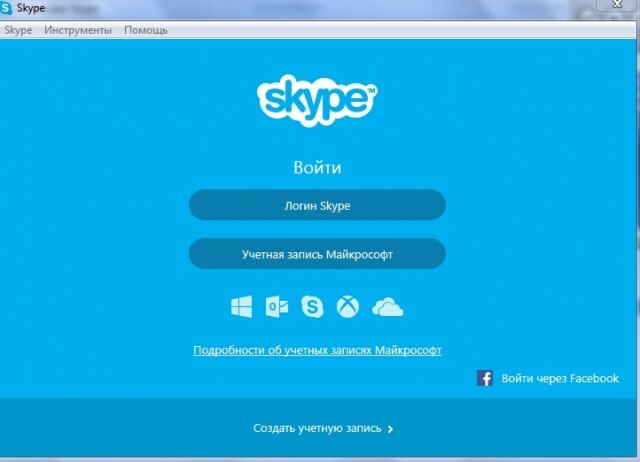 If you register on the site Skype.com, select Login and enter your Skype username and password. if you have Microsoft Account , you can log in using your email address and password, registering. if you have in the social network Facebook account, then you can log in to Skype using this account. To do this, click Sign in with Facebook in the opening window (bottom right).